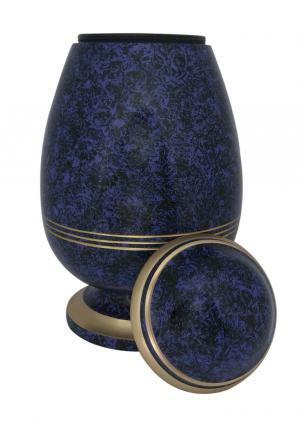 Classic Triple Band Purple & Black Adult Cremation Ashes Memorial Urn is sculptured in the form of Egg with organic presence of purple and black coat on the urn. The egg framed adult urn has triple gold bands circled and flattered end with circled gold frame. 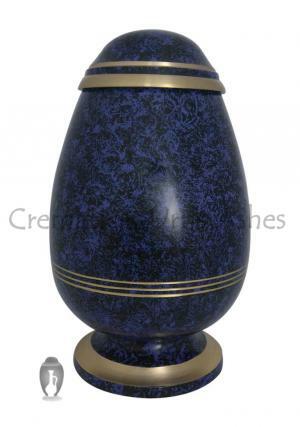 The Triple Band purple egg adult urn has a polished enamel with polished soft finish. 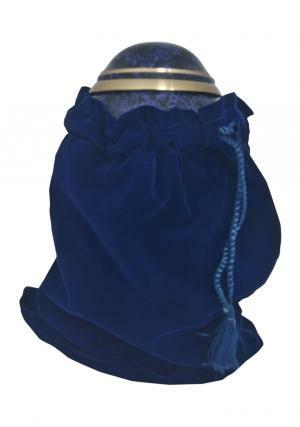 The lid of the purple band adult funeral urn is secured with screw threading for a tight closure of ashes. 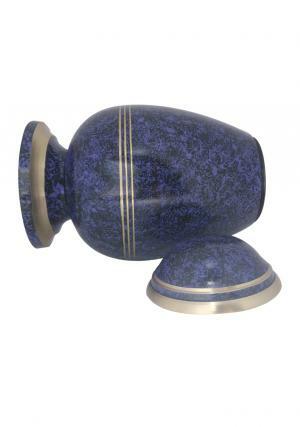 The Adult urn could make a perfect decorative piece. 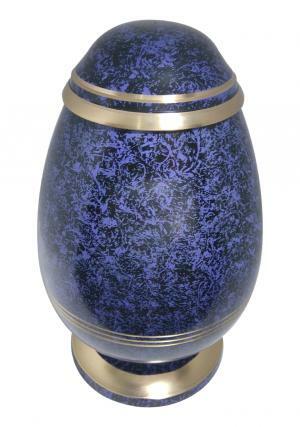 The Classic Triple Band Purple & Black Adult funeral urn has a volume space of 200 cubic inch approximately with measured 10.8 inch height, 6.7 inch width and weighs 2.37 kg.